This article was originally published by the Institute for Security Studies on 22 July 2016. A perfect storm is brewing in Mozambique as rocky economic and political fortunes stoke the embers of a decades-old conflict. Twenty-four years after the end of the country’s civil war, sporadic violence has been erupting as former civil war adversaries have taken up arms once again. This has been fuelled by a complex web of political and economic incentives. Both the Mozambique Liberation Front-led (FRELIMO) government and the former rebel group turned main opposition party, the Mozambican National Resistance (RENAMO), have demands for the country’s political future. The strength of their agenda at the negotiating table cannot be separated from their strength of arms in the provinces. Meanwhile, as the political elite hash out positions for their share of power, an economic crisis looms. This has been brought on by government debt mismanagement and corruption. In recent months, plans for political demonstrations have been met with a strong military presence on the street and warnings of military action on social media. While 500 people marched in mid June demanding security, peace and clarifications about the debt revelations, there have not been any larger-scale political demonstrations. However, citizens might soon decide that defying military threats and taking to the streets is worth the risk. Many in Mozambique have seen investment come to their country; and they have seen how their lives remain unchanged. Roughly 66% of Mozambicans are aged 25 or younger – and with youth unemployment at 40%, many are looking for improved opportunities. Climate-related events – including a severe La Niña – may affect food production and increase food insecurity. All of those bring the potential for even greater public discontent. As suggested in a recent Institute for Security Studies paper on Mozambique’s peacebuilding process, a relapse into full-scale civil war is a remote possibility. However, the current violence, which has left hundreds dead and thousands displaced, shows no sign of quick resolution – suggesting continued hard times for Mozambicans. Over the last decade, the skyline of Maputo has continued to grow. Cranes and scaffolding build the image of emerging economic opportunity; the dividends of a successful and sustained peace. But while citizens’ expectations have grown with the buildings and investment in the country’s natural gas projects, ordinary Mozambicans have largely not felt a corresponding increase in living standards. 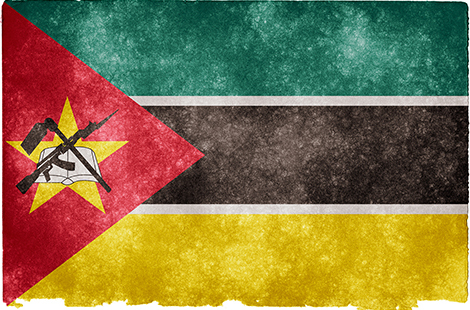 Notably, the United Nations Development Programme ranks Mozambique’s human development as 180 out of 188 countries. A long-anticipated influx of wealth from the development of Mozambique’s natural gas reserves offers prospects for future wealth, but in the short term Mozambique’s economy is once again in crisis. The International Monetary Fund (IMF) conducted a visit to the country in late June after revelations of more than a billion dollars in previously undisclosed debt. Their concluding report identified a slumping growth rate of 4.5%, depreciating value of the metical – the local currency – and a total debt burden equalling 86% of gross domestic product. While the IMF did grant complete debt forgiveness to Mozambique in 2005, the recent revelations make a repeat of such support less than likely. Despite President Filipe Nyusi’s visits to Germany and Brussels in late April, the IMF – along with a group of 14 other donors – has suspended lending and aid packages, cutting off previous relied-upon financial support mechanisms. The IMF has also called for an international and independent audit of three state-linked companies with ties to dishonest loans. These suspect loans, which are now plaguing the Mozambican economy, were procured and guaranteed in 2013 and 2014 by the previous FRELIMO administration led by President Armando Guebuza. While analysts speculate that the money from the loans disappeared into the pockets of security officials from the Guebuza era, President Nyusi – who assumed office in 2015 – has been left to deal with the economic and political fallout. These divisions within FRELIMO go deeper than economic disagreements and hint at a struggle over the future of the party itself. Within FRELIMO, different factions have different ideas on how best to deal with RENAMO leader Alfonso Dhlakama and his close group of loyalists, who have refused to disarm since the 1990s. In contrast to his predecessor, Nyusi has sought to use dialogue to resolve the increasing clashes between Renamo and government forces. Yet Nyusi’s ability to resist the party’s more hawkish pro-Guebuza faction is weakening. FRELIMO’s Maconde generals – a faction more loyal to Nyusi – also support decisive military action against RENAMO. Though Nyusi’s willingness to use force has increased, his calls for negotiated talks have continued. However, Dhlakama has continued to advance his own agenda through the use of force. There is little incentive for him to participate in dialogue: the economic crisis and military abuses by government forces simply strengthen RENAMO’s stance that FRELIMO fails to represent the people’s interests. Dhlakama is likely also keeping his eye on the 2019 election, and compounding national crises that could favour RENAMO’s electoral prospects. His demands are well aligned with the economic and political dimensions of the current crisis. They include the right to unilaterally appoint provincial governors in the provinces where RENAMO won an electoral majority in the 2014 elections. In 2015, RENAMO proposed legislation and a constitutional amendment to this effect, which included granting the new provincial authorities 50% of mining, gas and oil revenues. Though the FRELIMO majority in the National Assembly resoundingly defeated the bill and amendment, they point to RENAMO’s interest in gaining greater economic control in the areas where they have support. Dhlakama has also called for RENAMO to have a share of positions in state-owned companies. Furthermore, RENAMO draws support from the public’s economic dissatisfaction, while the FRELIMO government is scrambling to ensure this discontent does not boil over into protest or riots. In 2008 and 2010, small price increases for basic goods caused intense public demonstrations, with people burning cars and destroying other symbols of increasing wealth, from which they were not benefiting. As the economic crisis continues to materialise and the weak metical buys Mozambicans decreasing amounts of bread and fuel, FRELIMO’s fears of public protest grow. Significant gas production is not expected to occur before 2025, and the Mozambican government needs to find a way to manage its debt, restore investor confidence and curb inflation. The imperative for fast financing will likely have implications for future stability, especially if short-sighted natural resource contracts are signed under economic duress to service immediate debt needs. Unless a political solution can be found with RENAMO, violence will continue to hurt Mozambican people, foreign direct investment and tourism – only compounding the conditions for a perfect storm. And if not dealt properly, the storm could become a hurricane, in which the ordinary Mozambican will yet again suffer the most. Jonathan Rozen is an independent researcher pursuing work in the field of conflict prevention. He currently writes analysis with the Peace Operations and Peacebuilding division of the Institute for Security Studies (ISS Africa), and operates as a United Nations correspondent. Lisa Reppel is an independent researcher, currently engaged at ISS, and a communications advisor at the Turkish Women’s International Network. Gustavo de Carvalho is a senior researcher for the Peace Operations and Peacebuilding Division for ISS.